Disregard rumours of vaccination on school children – Health minister – Royal Times of Nigeria. 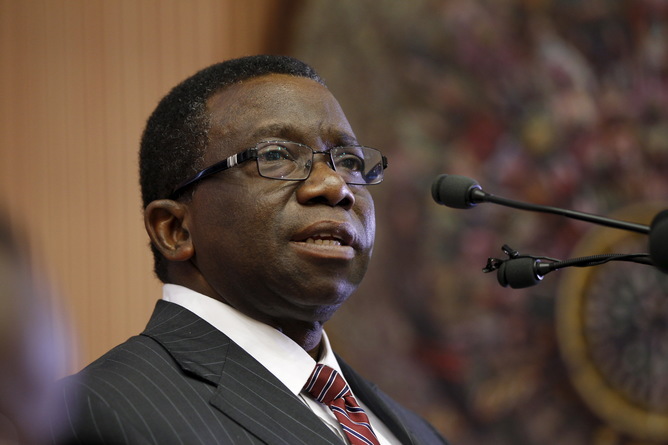 The Minister of Health, Prof. Isaac Adewole has asked Nigerians to disregard the rumour going around in some parts of the country that the military was administering vaccinations on school children. The health minister said there was no iota of truth in the claim and called on members of the public to remain calm as the government is committed to the wellbeing of Nigerians wherever they live. He noted that any vaccination by government Agency would be done in conjunction with States and Local governments. In addition, necessary awareness will be created through advocacy and community mobilization before such vaccination or immunization exercise is embarked upon. The minister added that the Military does not vaccinate or participate in vaccine exercise in any part of the country except two local government areas in Borno state at the invitation of the Federal Ministry of Health to assist in reaching the inaccessible areas due to security challenges. Adewole, who described the rumour as malicious and mischievous, urged Nigerians to disregard the rumour and go about their legitimate and normal daily activities without fear or any apprehension.